As the fourth industrial revolution marches on, how to we protect people from disempowerment? 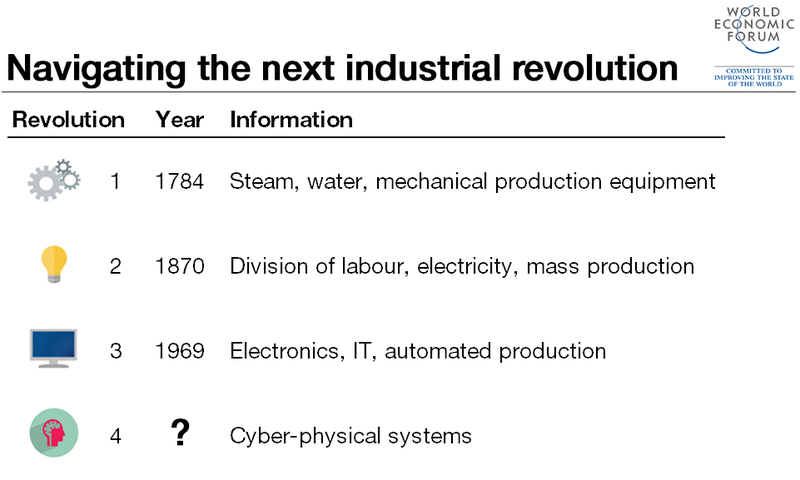 The fourth industrial revolution is upon us. The combination of enhanced computational power and extensive digital connectivity is leading to ground-breaking innovations – from implantable technologies to 3D printing and driverless cars – which blur the lines between the physical, biological and digital worlds. These and similar developments will disrupt the way in which people work, governments function and companies operate. In his book covering the topic, World Economic Forum founder Klaus Schwab describes the enormous opportunities offered by this revolution, including the personalization of medicine and the universalization of education. But he mentions some factors that may prevent this potential from being realized. I agree with Schwab that a narrative is missing. The main argument of this article is that human rights offer a solid foundation to develop it. Two reasons justify the selection of human rights as the cornerstone of our approach to the fourth industrial revolution. First, human rights represent the closest we are to the definition of a globally accepted set of rights and duties. There is no other religious, moral or legal framework with such a widespread recognition. This is true for countries. Some human rights treaties enjoy almost universal ratification. The Convention on the Elimination of All Forms of Discrimination against Women has been ratified by 189 countries. The Convention on the Rights of the Child has 196 state parties. This is true also for companies. 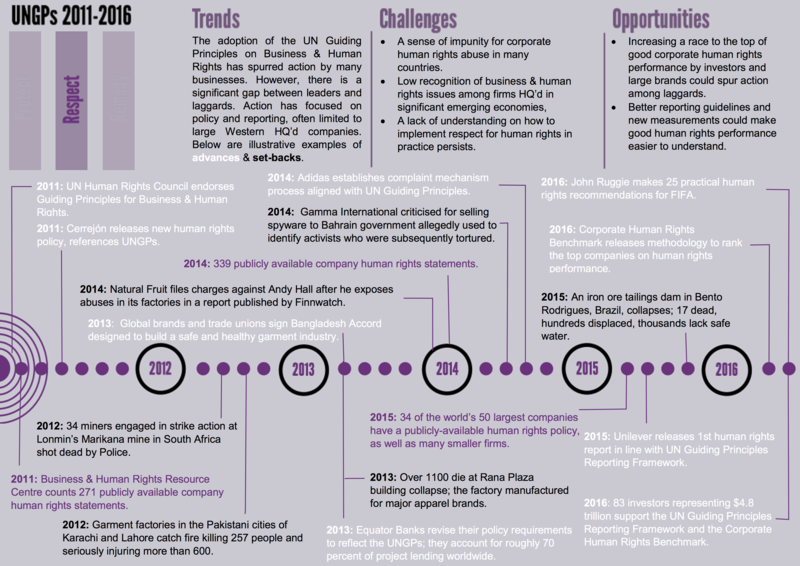 Thirty-four of the world’s 50 largest companies have already adopted a public commitment to respect human rights throughout their operations. Second, human rights directly respond to the two most severe risks that Schwab identified for the fourth industrial revolution: disempowerment and inequality. Schwab writes: “In all these areas, one of the biggest impacts will likely result from a single force: empowerment – how governments relate to their citizens; how enterprises relate to their employees, shareholders and customers; or how superpowers relate to smaller countries.” Put simply, human rights are basic empowerment principles framed in moral and legal terms. Human rights are meant to give voice to the voiceless, power to the powerless. Once we recognize the central role that human rights should play as technological progress continues, the next step is to ensure their practical realization. This heavily depends on four elements: expanding reach, updating meaning, enlarging scope and leveraging technology. To start with, today only a small part of the world population is in a position to profit from the fourth industrial revolution. 1.3 billion people still lack access to electricity. Half of the world’s population do not have a mobile phone. Some 90% of the population of low-income countries and over 60% globally are not yet online. Digital exclusion is particularly problematic because asymmetries of information will determine asymmetries of power. Individuals will be marginalized if they lack access to new forms of economic activity and civic engagement. Human rights are both absolute and contextual. While the principles (universality, equality, participation, etc) cannot be negotiated, the details need to be continuously updated to reflect new realities. For examples, the sharing (or on-demand) economy is transforming permanent employees into independent contractors. This shift will impact the workers’ rights to protection against unemployment, sickness or disability, as well as their ability to organize and bargain collectively. Also, most of the algorithms at the base of artificial intelligence applications depend on direct access to large amounts of individual data, which at present we leave in the digital world mostly inadvertently. The sustainability of these innovations relies on finding the right balance between the convenience of many devices that we routinely use and adequate protection of our privacy rights. Power is shifting from state actors to non-state actors. This is challenging because the existing human rights framework is primarily meant to protect individuals from government abuses. But what about companies? Business actors and human rights activists should enhance their efforts to develop mutually agreed standards – and related accountability mechanisms – for the private sector. A key feature of these standards and mechanisms should be their agility. While countries often last more than centuries, the average lifespan of a corporation listed on the S&P 500 is approximately 18 years. Google took just five years to reach revenue of $1 billion a year. Human rights activists tend to be lawyers and social scientists. Those who intimately understand the most recent technological developments are predominantly scientists and engineers. We need more communication and interaction between these groups if we want to profit as much as possible from the innovations that will soon be at our disposal (and, frighteningly, at the disposal of potential human-rights abusers). Consider remote monitoring of supply chains. Any diamond, T-shirt or cocoa package can now be equipped with a transmitter that allows a company to track it. This level of supply-chain visibility is key to enabling the prevention and mitigation of adverse human-rights impacts such as child labour and workers’ rights. Another interesting opportunity is offered by blockchain, the technology underpinning the bitcoin digital currency. Blockchain allows us to create trustworthy information without the need for certification from a central authority (such as a government or an international organization). This could enable small farmers to secure land titles and environmental activists to monitor deforestation. Klaus Schwab is right. We need to develop a positive, common and comprehensive narrative about how we can shape the fourth industrial revolution for current and future generations. Human rights should be the foundation of this narrative. The risk of the latest technological developments is to leave whole communities behind, widening inequality and triggering resentment. Respect for human rights is key if we are to strengthen the social fabric which is needed for the fourth industrial revolution to flourish.